When querying /questions and sort them by creation in descending order, the creation_date drops very rapidly. 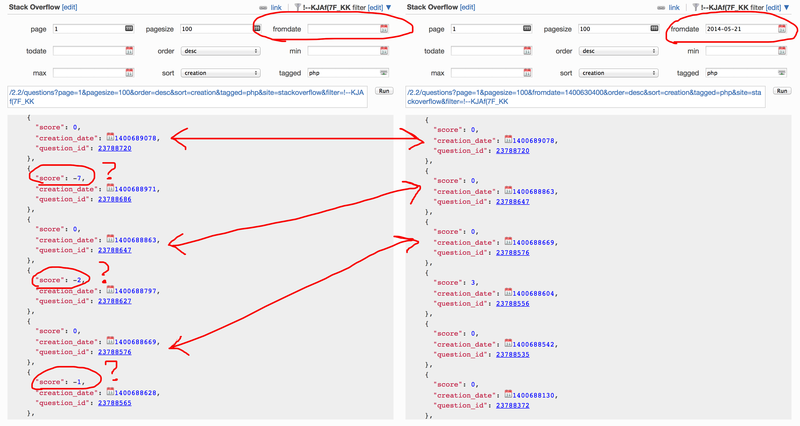 I was looking for questions in the [php] tag on Stack Overflow. There are over 1000 php questions asked today, but I received questions that were asked 2 years ago when I get to about 400 items. 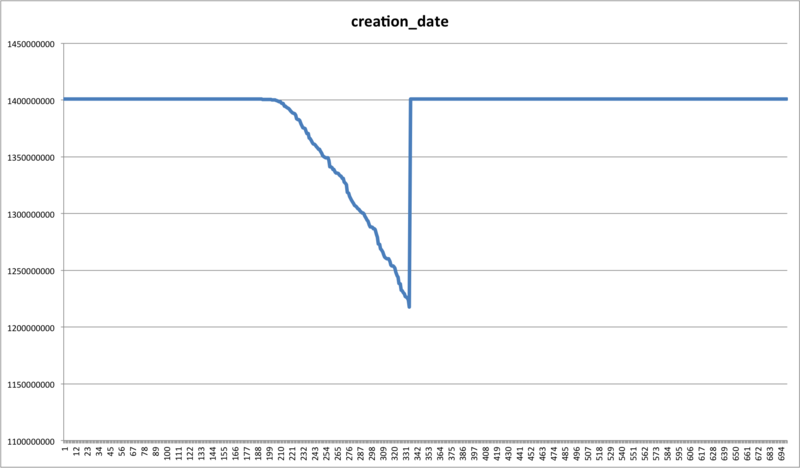 Plotting the creation_date of the first 700 items produces the following graph. You can see there is a weird drop in creation_date all the way to 2008 before going back to normal again. This problem isn't always present though. I encountered this issue at around 3:45 PM UTC for two days in a row but not during other times of the day. 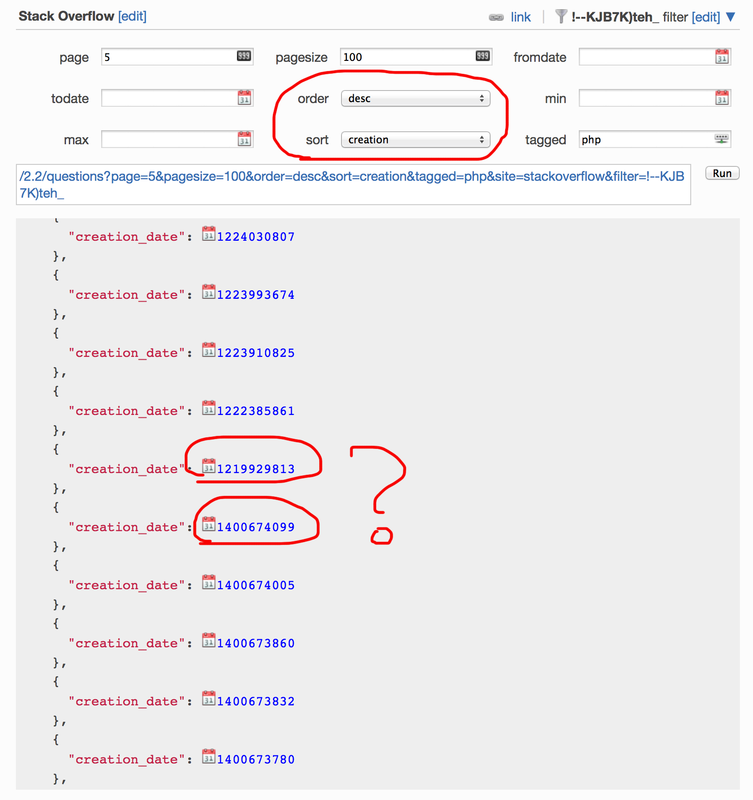 Another problem with /questions is that if I specify fromdate, todate, min or max when sort by creation, it no longer returns any negatively scored questions. Browse other questions tagged bug questions .